Built by the Anglo-Newfoundland Telegraph Company, in either 1870 or 1880, the Avondale Railway Station served as a repeater station for the first telegraph land line serving St. John's. From 1900, to 1949 the structure was a freight and passenger station operated by the Reid Newfoundland Company, and was an important terminus during World War II for transporting men working at the American military bases in Argentia. Now the oldest surviving railway station in Newfoundland, from Confederation in 1949 until its closure in 1984, the Canadian National Railway used the station as a terminus for their passenger and freight service in Conception Bay. The two-storeyed structure has a mansard roof complete with arched windows. Avondale Railway Station is good example of the Second Empire style employed in the construction of Anglo-Newfoundland Telegraph Company buildings. In recent years the building has been used as a community and railway museum. With numerous artifacts from the railway era the museum is open daily in July and August. The Newfoundland Historic Parks Association awarded the station a Manning Award. This award is presented in recognition of outstanding efforts "in the Public Presentation of Historic Places within Newfoundland and Labrador." Established in 1993, the association named the award after former Area Superintendent for National Historic Parks in Newfoundland and Labrador, Bill Manning. 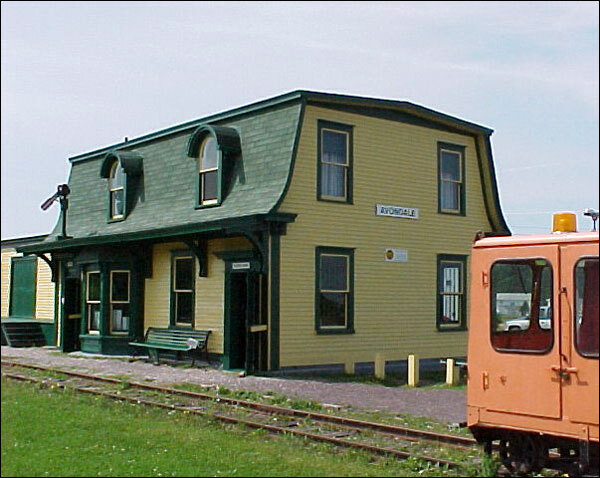 The Heritage Foundation of Newfoundland and Labrador declared the Station a Registered Heritage Structure in February 1988. Also view the Avondale Railway Station Registered Heritage Structure on the Heritage Foundation of Newfoundland and Labrador web site. The Newfoundland and Labrador Heritage Web Site has on its site only a portion of the registered heritage structures in Newfoundland and Labrador. To view a complete list or search for a particular structure visit the Heritage Foundation's Property Search page.